Do you like your company 401(k) or pension plan? Concerned about fees? Worried about investment choices? Is your plan not doing everything you want it to? Why not get it exactly the way you want? Warren Street has helped companies improve their existing 401(k) plans to improve their overall benefits and better align the plan with the overall goals of the employees and ownership. Contact us today to make sure you are getting the most out of your retirement benefits. 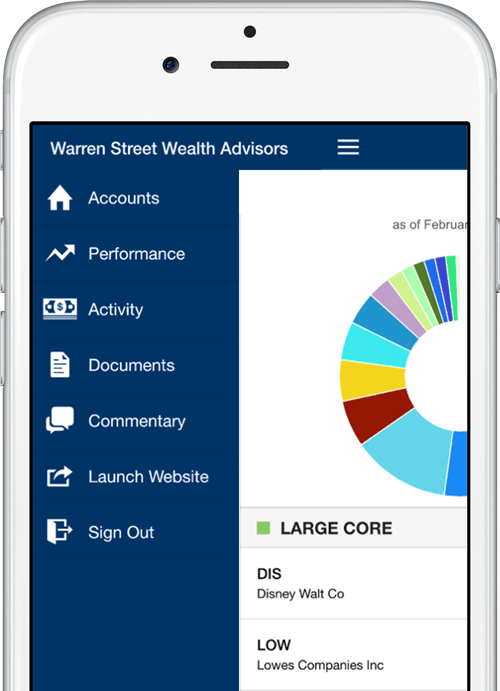 With the new Android and iPhone app you can easily check on you investments from anywhere.